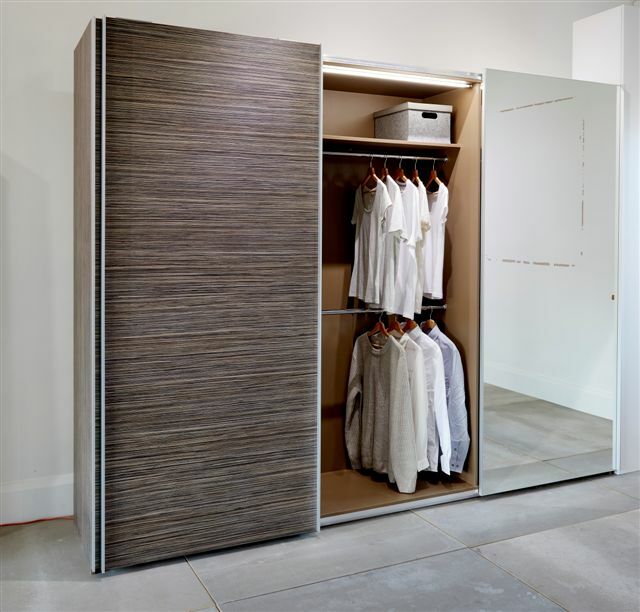 This incredible sliding wardrobe features a hybrid of contemporary styles with doors made from grained dark wood and mirror. 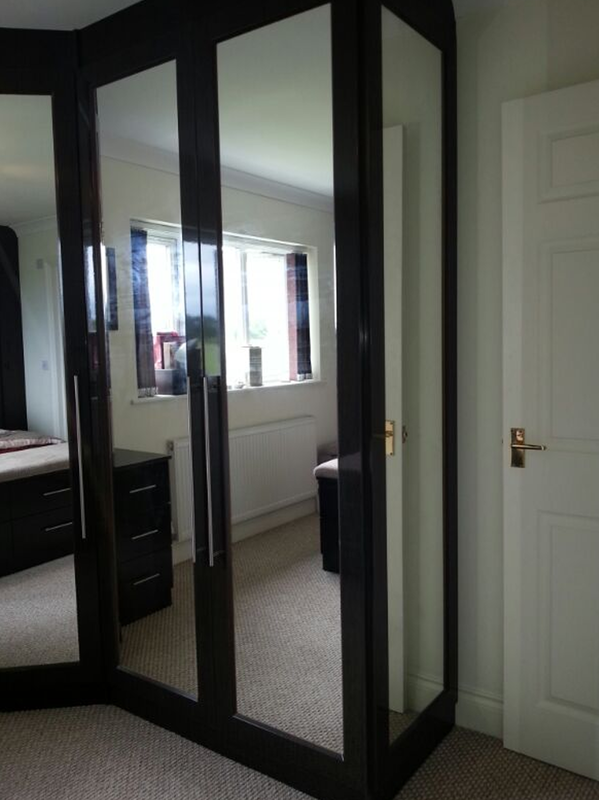 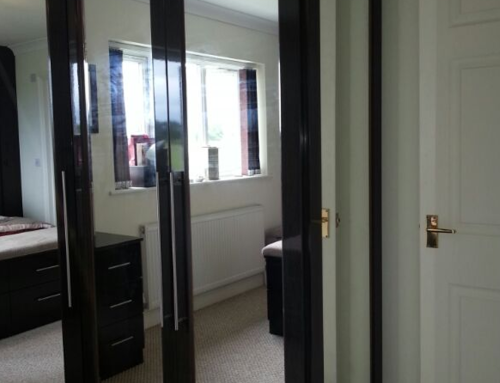 The mirrored sliding door allow extra light into the room, helping to make it feel more spacious and also naturally comes in handy for our customer who wanted to be able to see themselves in full length when getting ready. 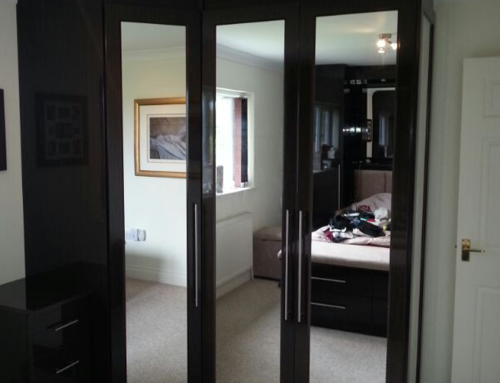 The dark wood door is made from a solid, quality wood and perfectly compliments the mirrored door, helping to make the bedroom look visually stunning. 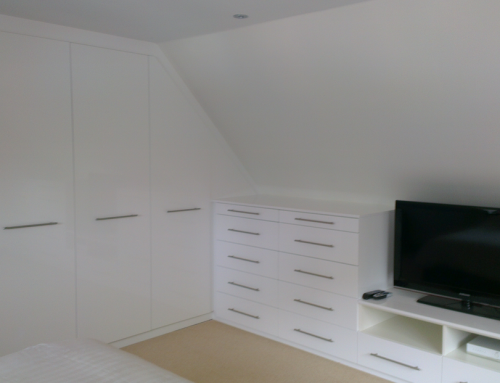 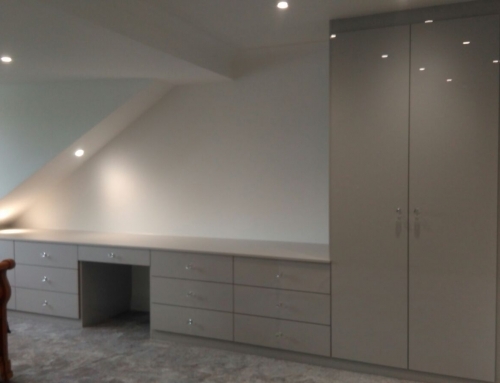 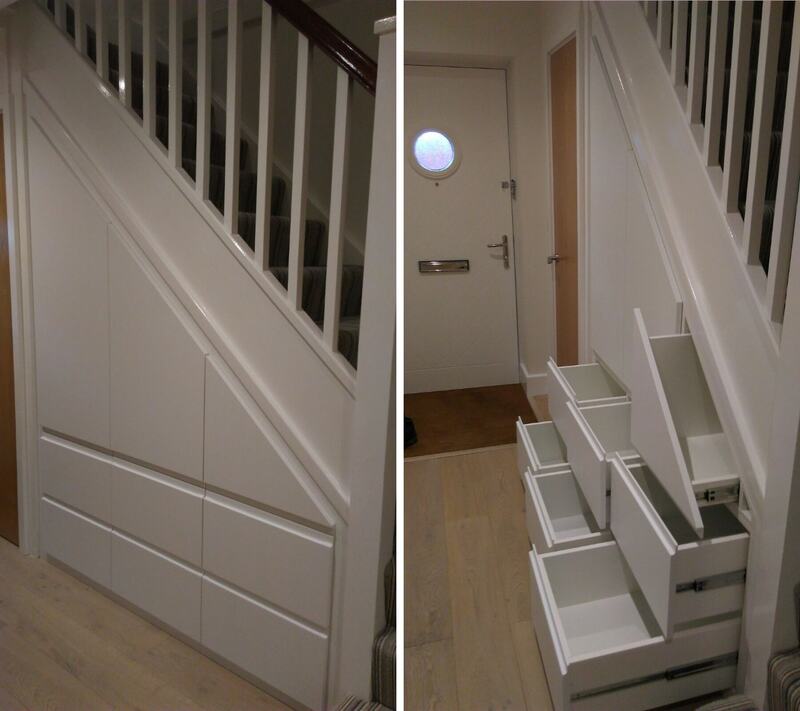 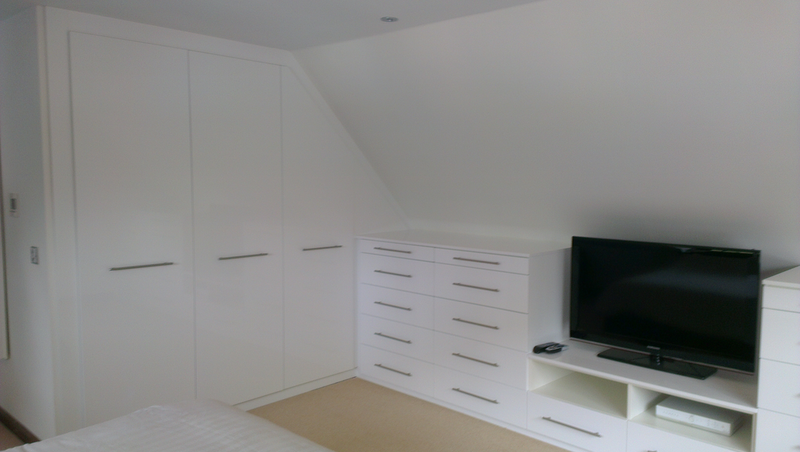 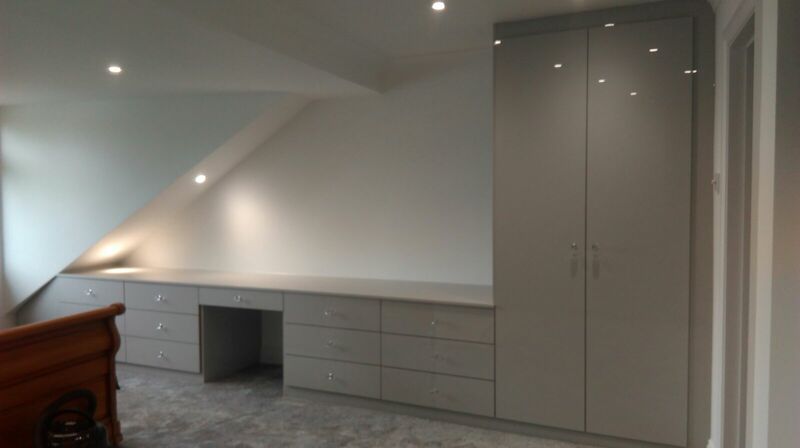 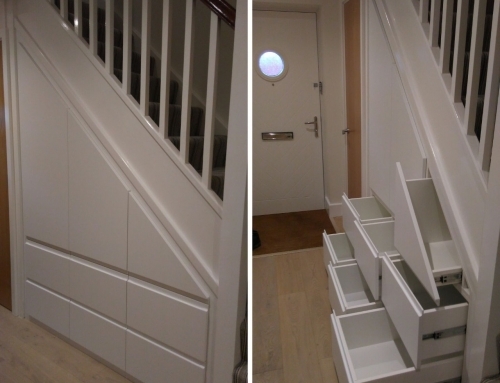 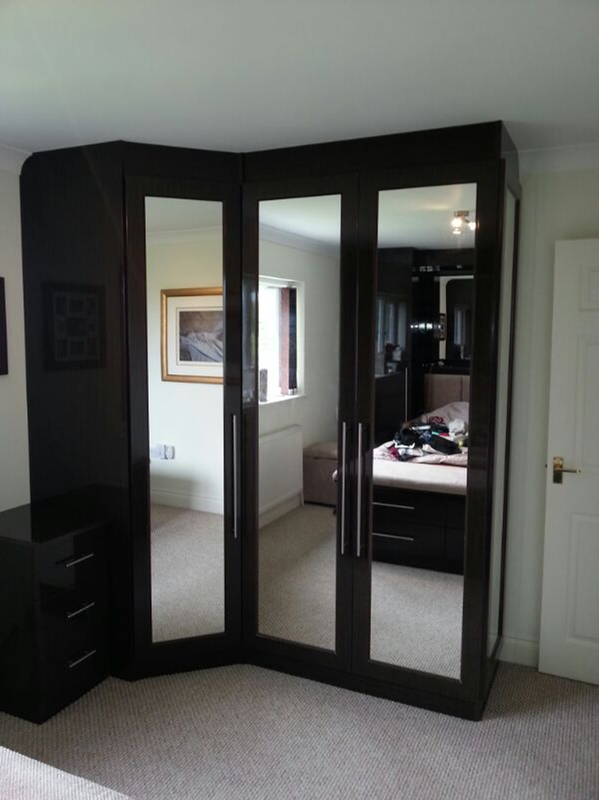 If you want to add a similar sliding wardrobe to your home then please do get in touch to book your no-obligation design consultation.